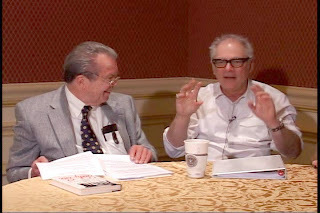 Here's the long awaited OUT OF THE PAST Show that Lee Shephard and Chuck Langdon did with our most famous alumni, Barry Levinson. It features interviews and comments by Jim Silman, who hired Barry in the training program, and Woody Robertson, who was the director of the Ranger Hal program where Barry said his creative juices first began to flow. WTOP-TV was Barry's first real job.....and the rest.......is history.